When you sell jewelry online you can increase the chances of being found by getting keyword smart. In this final page of the three part keyword series I want to address whether it is beneficial to use plural keywords on your website. The answer to that is yes, but not always. The only way you can know whether plural keywords will bring in more traffic is to research them. Understanding the importance of keywords by finding out what people are really searching is the first step. Once you know what people are searching you need to know what they are finding. First you research the demand and then you compare that with the supply. So, if oodles of people are searching for a red necklace you need to know how many red necklaces are showing in the search results. In Part 2 of my keyword article series I briefly covered plural keywords and told you that six times as many people are searching for "costume jewelry brooches" as there are searching for "costume jewelry brooch." Now, if you are selling a costume jewelry brooch on your website obviously you are not going to label your product title in the plural. 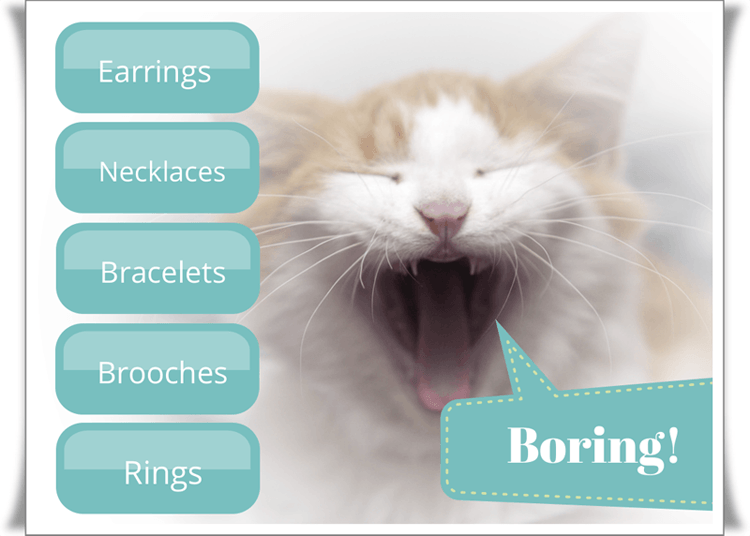 However, there are other areas you can use plural keywords when you sell jewelry online. In thinking of my own website I really dropped the ball on this one because I virtually don't have any plural keywords. So, how can I change that? There are a couple of ways to do that and this is where many people go wrong. ONE - Navigation Menu and Sub Categories - The first way to include plurals is to have your navigation bar sections with plural keywords. This is where most people mess up. They section off their site with broad term keywords such as: necklaces, rings, bracelets, earrings and brooches. You can just imagine how many necklaces will show up with an internet search for that term. Likely millions. Actually, forty-one million. How then, can you get your great necklaces found? You have to start researching. Search red necklaces, crystal necklaces, filigree necklaces, acorn necklaces and any kind of necklaces that you may want to sell. With each detail you add you will see that the results will vary greatly in both supply and demand. Consider having sub categories in your navigation menu. 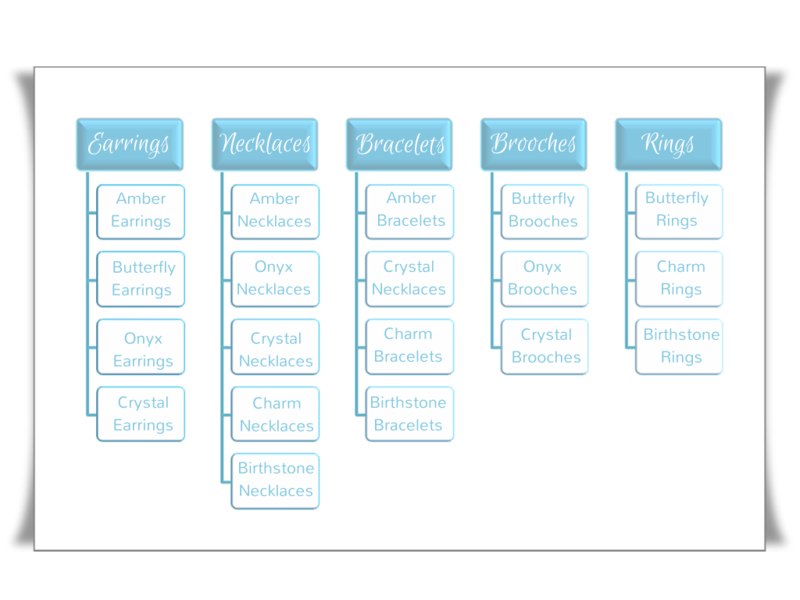 If you are using broad term keywords, such as necklaces, in your main menu, you could create sub categories for Amber necklaces, butterfly necklaces, birthstone necklaces etc. By using high value plural keywords in the sub categories you can remedy the issue of having general keywords in your main menu. At the top of each page you will also have the title with the same exact keywords. So, if birthstone necklaces is a great keyword you would have that in your sub category navigation menu as well as at the top of your birthstone necklaces page. To sell jewelry online you need to get crafty and find ways to draw in the traffic. Find out what they want and give it to them. I am not telling you to sell dolphin rings if the thought of dolphin jewelry makes you cringe. Start with what you want to sell and find out what keywords are highest in demand and lowest in supply for each item. TWO - Image Labelling Trick - As we already covered, when you sell jewelry online it is not logical to use plural keywords in your product title. If you are showing a crystal necklace you are not going to put "crystal necklaces" as your title for a single necklace. You can, however, label the image that you are uploading as "crystal necklaces." Experiment with a few images if you know that the plural keywords will attract more traffic. THREE - Product Description Trick - Here is another area where you can squeeze in your plural keywords. At the end of your product descriptions you can write "see more crystal necklaces" and make it a link that will take the visitor back to the main crystal necklaces page. 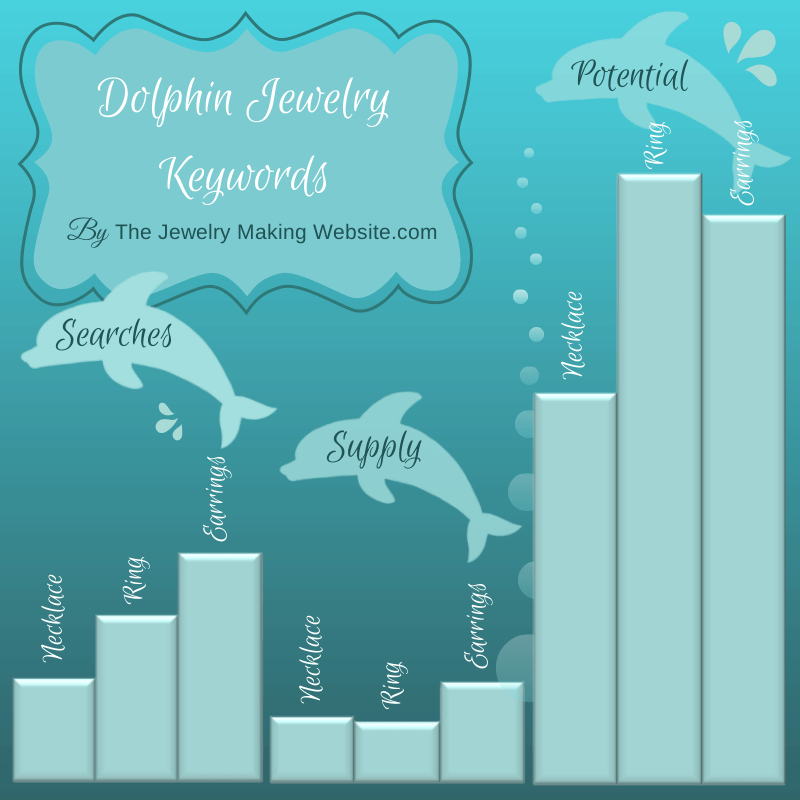 Not only will this link make your site function better, it will also make your website keyword rich with the right jewelry keywords. It takes some innovative thinking to sell jewelry online effectively. There are millions of websites out there selling jewelry. You have the unique advantage of getting your website to stand out by understanding the importance of keywords and implementing some clever strategies. A word of warning though, do not assume that because your research shows plurals to work well for one type of necklace that it will work just as well for another. For example "butterfly necklaces" may be a great keyword, but "Black Onyx necklaces" is abysmal. Research shows that there is a general trend to how the consumer thinks when searching online. What makes one person key in "butterfly ring" while another searches "butterfly rings?" If I where searching for a butterfly ring that is exactly what I would type in. If I where searching for a white dress I probably would key in "white dresses" even though I know that "white dress" will also bring in multiple results. It's a bit weird, but the mind is funny that way. Just figure out what they are thinking when they search and deliver on that. While jewelry keywords are not the only way to get traffic to your website, they are a highly effective tool and they are free! Return from Sell Jewelry Online to How to Sell Jewelry Online main page.